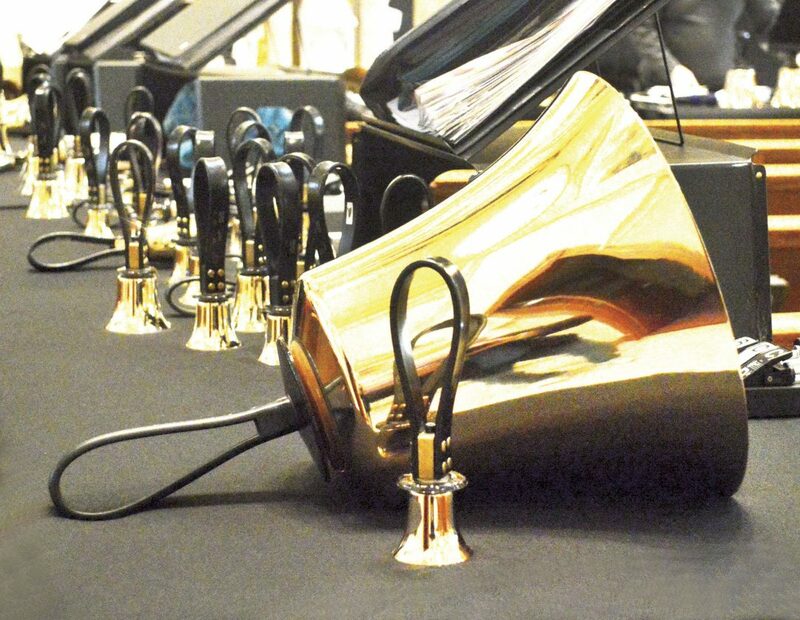 Photo by Doug Loyer Hand bells come in many sizes from large to small. Photo by Doug Loyer Beautiful bell ringing fills the Basilica of St. Mary of the Assumption. Photo by Doug Loyer Large hand bells waiting to be rung. 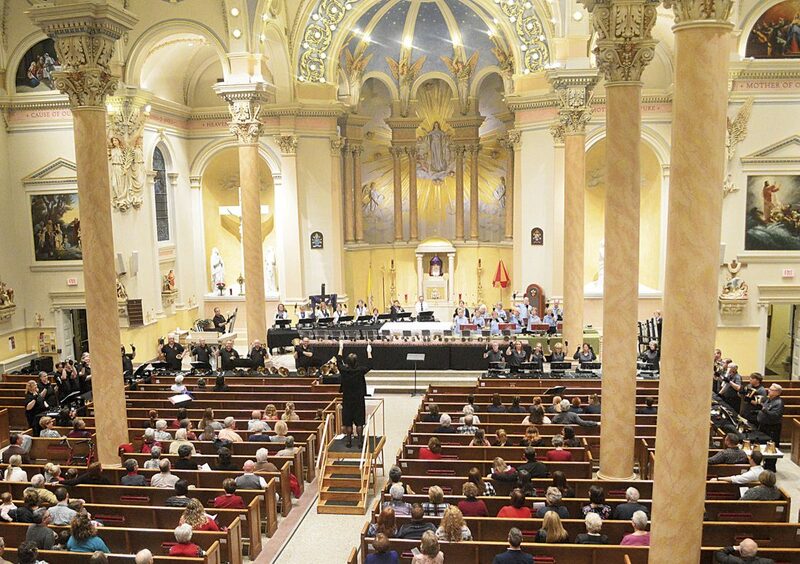 MARIETTA — The 29th annual Marietta Area Spring Ring, with its beautiful sounds of hand bell ringing and resonating throughout the Basilica of St. Mary of the Assumption Catholic Church, was held Sunday evening in Marietta. Free and open to the public, the annual bell choir concert was a symphony of bells and a group effort featuring the Mid-Ohio Valley Ringers and hand bell groups from First United Methodist Church of Parkersburg, Christ United Methodist Church of Marietta, First Presbyterian Church of Marietta and St. Marys Catholic School. The hour-long concert offered collaborative symphony of bells musical pieces plus solos. This unique ensemble instrument with it’s angelic sound always draws interest from people. “This concert is great fun every year. This is our 29th and it gets better every year,” said Denise Holmes, Director of the Mid-Ohio Valley Ringers in Vienna. 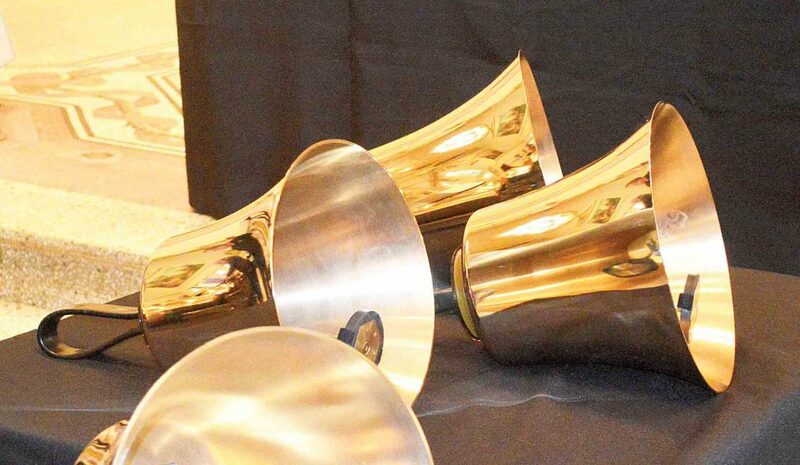 Holmes said there is nothing else you’ll hear that sounds like a group of hand bell choirs. The bell choir sound is so unique. Jimmy Sundquist, Director of the First United Methodist Church of Parkersburg Bell Choir, has been coming to the event for many years now. “I played in a church choir when I was a kid and I play in the Mid-Ohio Valley Ringers as well,” said Sundquist. “The bells are such a unique instrument. It’s unlike anything else. It’s a good instrument for people to play. It’s easy to pick up and learn and it’s such a unique sound. Bell choirs are also a unique community. I love getting together with these folks each week to rehearse. It’s great fun. Sheree Alderman, of Parkersburg, has been a member of the First United Methodist Church of Parkersburg Bell Choir for a couple of years now. She feels that bell choir music is the most organic and pure music. It was the first time for Kila and John Frank, of Reedsville, to see all of the bell choir groups together. Kila thought is was tremendous and their sound almost magical. “I’ve been to many of these. I had not heard bells like this until five years ago and I’ve been to a lot of them since,” said Ann Drake of Marietta.